I love Funderland, so I am there all the time, and yet somehow I have always missed the awkward punctuation of this sign. Unless of course it is not referring to the state park, but rather to another fort owned by a married couple as community property, in which case I suppose it is technically correct! Of course, it could be owned by one person whose last name is Sutters, then the placement of the apostrophe would also be correct. The Sutters family repressed Mexican-American/Southwest Indians 274 years ago by using their trails, stealing their land, and giving them VD in return for horses. Funderland should rename itself Quitoxozelo Land to atone for the sins of wholly unrelated people from 274 years ago. And it should donate to La Raza for some reason, too- mostly since Al Sharpton isn’t currently demanding cash from them. So… “Fort” huh? Why, pray tell, does one need a “Fort?” Like a “couch cushions and sheet” Fort, or like a “keep bad people out” Fort? And who are they keeping out? Sounds like a perpetual KKK meeting, and we all know how bad THAT is! Down with Forts!! Who is with me? Let’s help the natives retake the land the Sutters stole!! Funderland is SO going down! 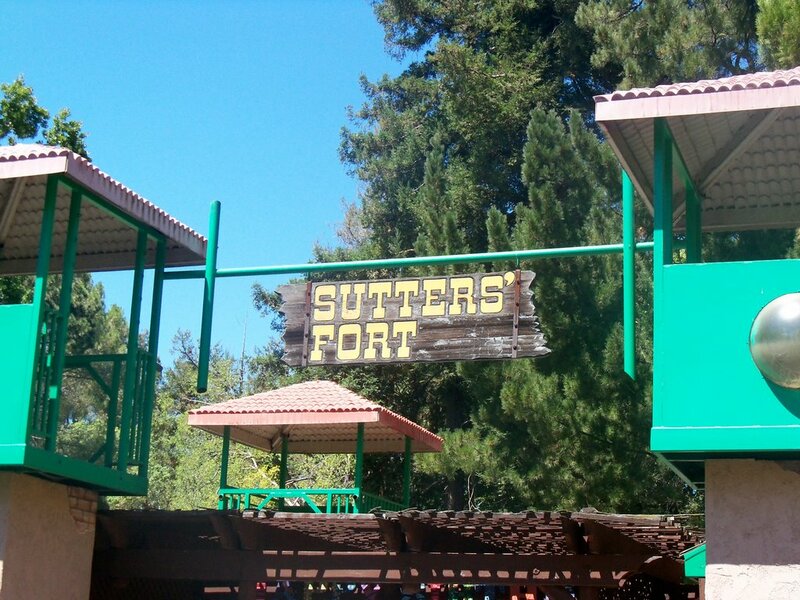 SFChick: No dice, that would be Sutters’s Fort. A said it could be fixed with a sharpie and a can of spray. Not really. The starting point would actually be a city council meeting to discuss the change. But the meeting would bring on protestors who are concerned about John Sutter’s racist attitude and the message that it sends. The sign would be removed for 3 years while the dispute is settled. Finally around 2015 the sign would be revealed with the politically correct but awkward moniker “Riverbend Park Fort”. A can of gasoline and match, then? CoolDMZ: That the second (well third) S just looks ridiculous. Plus, I thought both were correct when dealing with a proper name. Either the rules have changed or 6th grade has finally been wiped from my brain. Previous Previous post: CoolDMZ family witnessed Zoo lockdown!